What inspired the creation of the Dare Me Beautiful Project ? The Dare Me Beautiful Project came from my own issues with body acceptance. I have a chronic joint condition that has lead to many surgeries (and scarring), so I had always felt insecure in my body growing up because of it. I have also struggled with managing my weight so that affected me quite a bit. As a teenager, I was a curvy girl, so I realized as an adult how that effected me also. Now I am at the point in my journey as a woman where I appreciate all that my body has been through and is while aiming to maintain my health, so there are very few things I hate about my body now LBS. As I was talking to other black women, I realized so many women have struggled or struggle with their body and I was not seeing those stories told in way that we as black women owned. Rarely do we have the space to frame the conversations about our bodies for ourselves. So, I decided to help change that. What is the mission and goal of the project ? Our bodies. Our stories. Told by us. 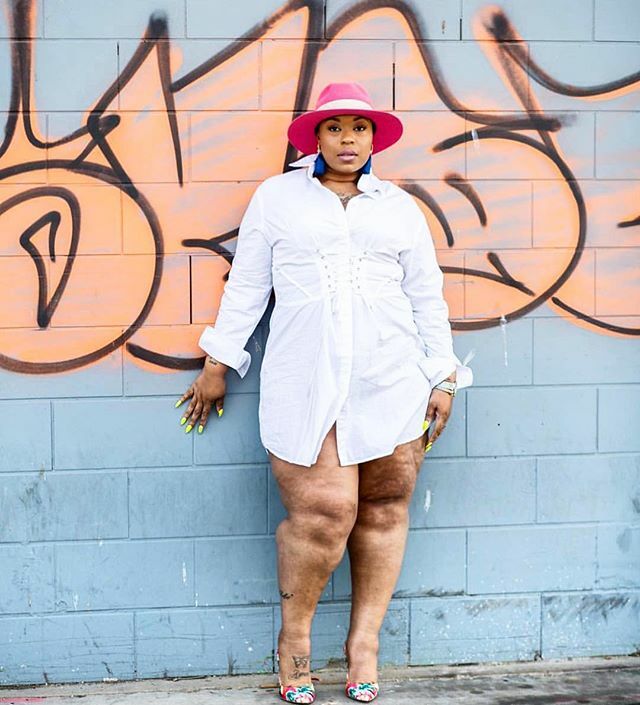 With the help of digital and social media, the project creates an unapologetic platform for black women to define their beauty and bodies for ourselves. The goal of the project is to reframe the way the public consumes and views black women's bodies as there are so many stories that can be told that are layered in our culture and history. I really just want to humanize black women and our bodies, especially in a world that struggles to do so. I also want women to know we have complete agency of our bodies. The world does not tell us that enough. My hope is that other black women and girls will see themselves in the stories being shared and feel empowered to accept and love their bodies, too. I now know the sky is truly the limit, and there is so much I am thinking about- from after-school programs to partnerships that serve black women and girls in other countries down the line, but for now I just charting the course and building the project out, and seeing where it takes me to be honest. As a social media and content strategist, love social media as a medium, so I am really just enjoying connecting with other women while sharing their stories online. I have received so much good advice and I pull from so many sources but the best advice I have received more recently is learn how to be the solution to people's problems, and you will forever be a success. Do your research, study the market and fulfill a need. Passion and talent are only one part of the puzzle--you must fulfill an ongoing need for people. Figure out what makes you different from others, which actually is not that difficult because we are all individuals with our own perspective. Then, do you without comparing yourself to others. Run your own race, and understand the vision will always evolve. Lastly, you must surround yourselves with other entrepreneurial minds. I can't stress that enough.